What’s up with Americans & Hummus? I’ll never forget the first time I went to a supermarket here and I saw the Hummus refrigerator. Yes, a whole refrigerator of Hummus in the US. My childhood memory of Hummus comes down to my homemade grandmother (deceased) Hummus and my mother’s. The only Hummus spread in a box was by a company called “Mi-Vami” (still haven’t found anything that compares to it), and when my parents were barbecuing with friends we went to “Mashani” deli in Rishon-Lezion. Over the years, Hummus crossed the lines from hole-in-the-wall restaurants to supermarket shelves. The companies started to inject all kinds of materials to extend shelf life. This was about the point I stopped eating industrial Hummus. When I wanted authentic Hummus, I used to go to one of those hole-in-the-wall restaurants, order Hummus-Masabach or Hummus with black beans. That’s how I learned to appreciate a good plate of Hummus; and above all the power of the Tahini. The one that sets the tone of Hummus, texture, flavor, and without it Hummus is not real Hummus. Then I moved to the United States. I admit, when I moved here two years ago, I didn’t know Hummus had crossed the ocean. 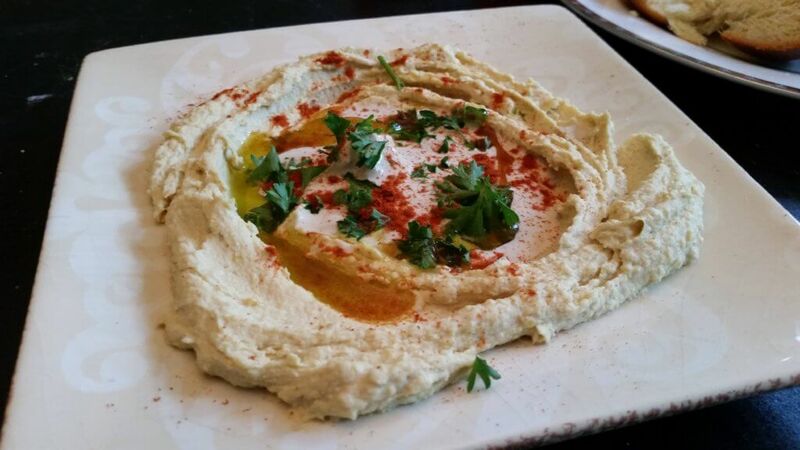 In the past, if you would like Hummus you had to go to the Jewish Quarter to find Hummus from Israel. A few years ago, Hummus had become so dominant in the American culture and now it is out of control, and I will explain. Hummus with lemon (Hummus already has lemon, why add more?). Edamame Hummus – Hummus is not supposed to be green! Paprika Hummus- Hummus is not supposed to be red! Organic humus – kill me now! 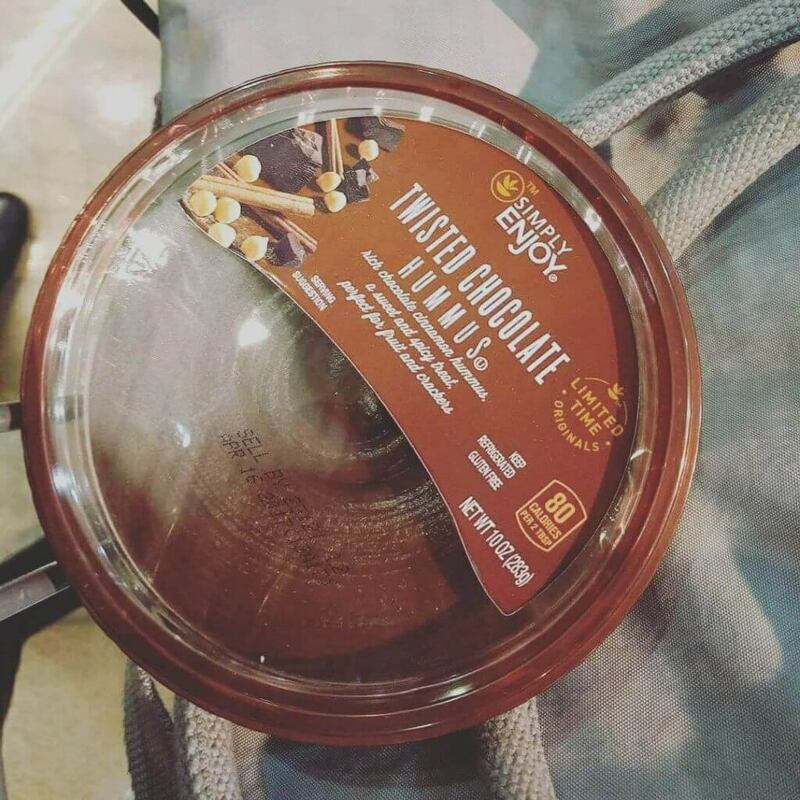 But the one that caused me tears, abdominal pain, and inspired me to write this post; Chocolate Hummus. When you go to a fancy restaurant in Israel you will not find Hummus in the starters menu. It is not fancy dish in the middle east. Here, if the restaurant wants to show how sophisticated and her chef thinks outside the box, there’s Hummus in the menu. 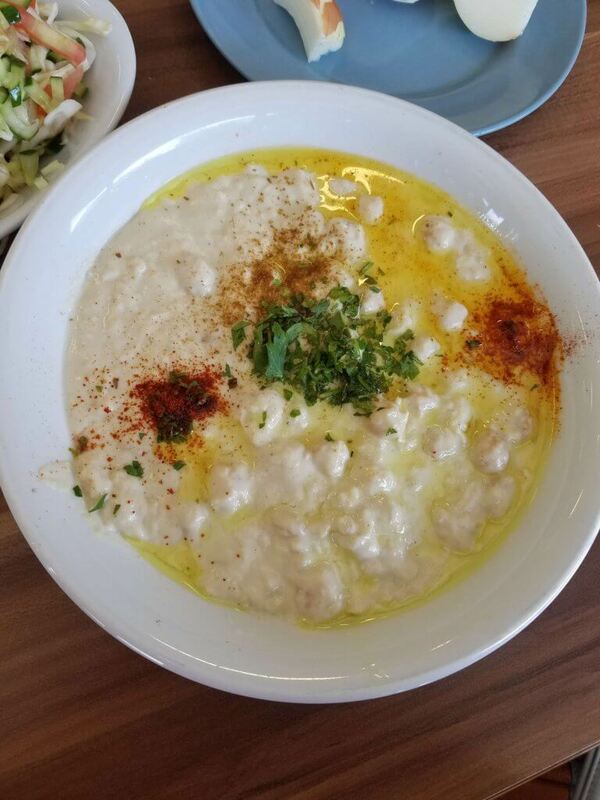 Every time I go to restaurants here, whether it’s a date with a guy or girls’ night, they open the menu, “Hagar, they have hummus on the menu, we must order”, they say. “I make hummus at home, I don’t need to have it here”, I reply. Yes, me and my Israeli friends and I suppose many others Israelis worldwide make hummus at home. Every time I make it, my American roommate’s eyes light up. (I added my recipe in the end). 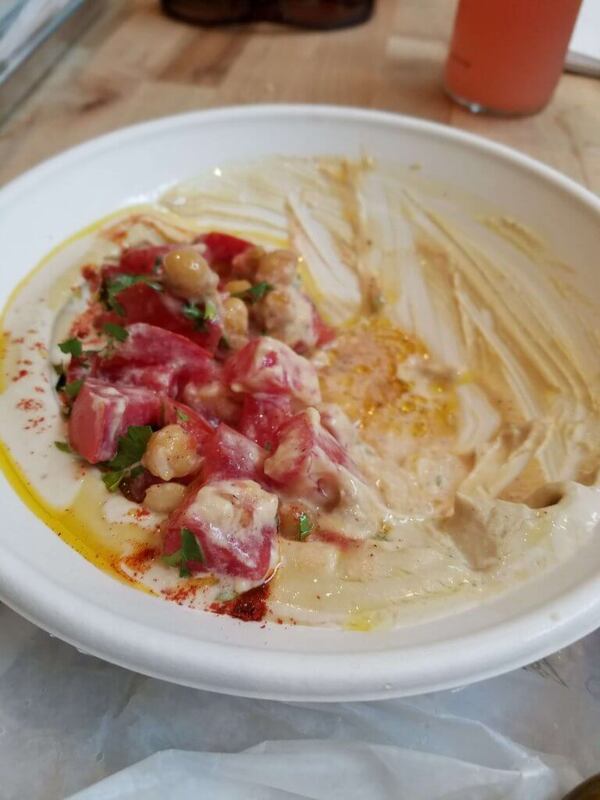 Despite all my complaining I expressed here about Hummus; I can say with certainty that there are places in the US you can get a good authentic Hummus. 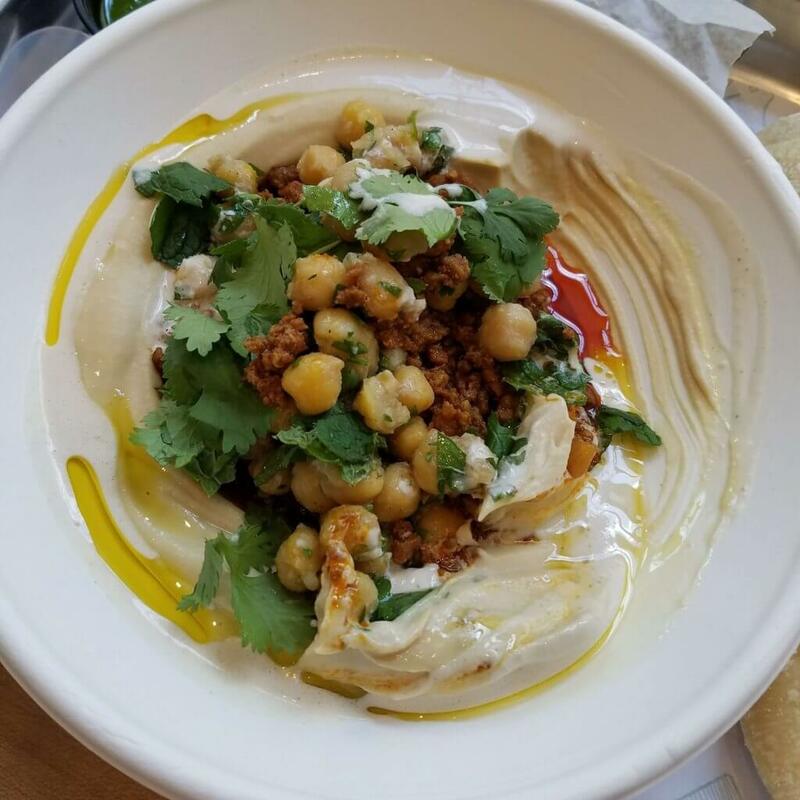 American chefs that came to visit in Israel, like Michael Solomonov (Philadelphia and New York), Todd Ginsberg (Atlanta), Alon Shaya (Israeli – New Orleans) and of course Arab restaurants, success to bring the real hummus experience to the United States. Last summer, Todd Ginsberg, one of the leading chefs here in Atlanta (Y’alla, General Muir, etc.) decided to take it seriously and created Hummus POP-UP for a few months in his bakery (TGM). He offered few options of hummus plate with ground lamb, tomato salad and one with carrots-cumin salad. The Hummus bowl was served with pita bread and pickles, like in Israel. 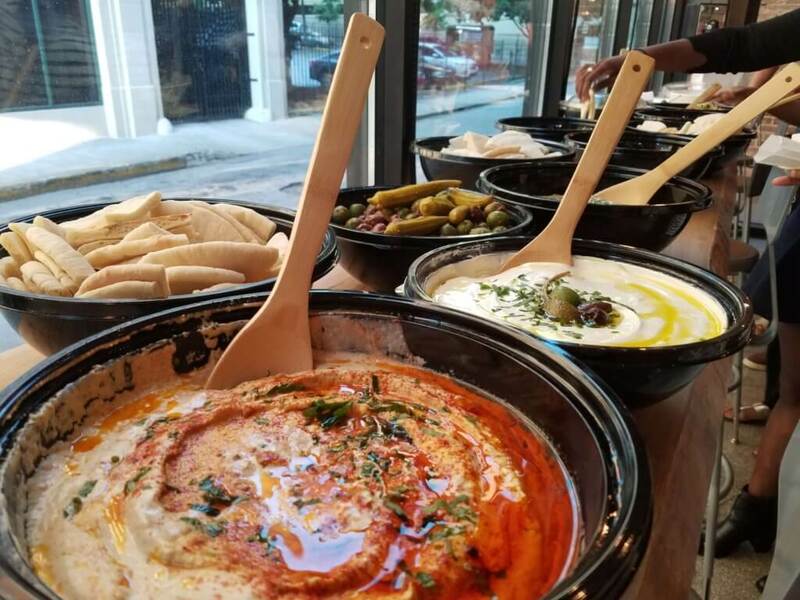 It was one of the best Hummus I had in Atlanta. Eighty percent of the time I’m getting along with American cuisine and what it has become; but every time they try to Americanize a new thing, such as Hummus to Chocolate Hummus, I’m back being skeptical again. Blend everything in food processor/shake blender, add Thahini, water and lemon according to the texture you would like.